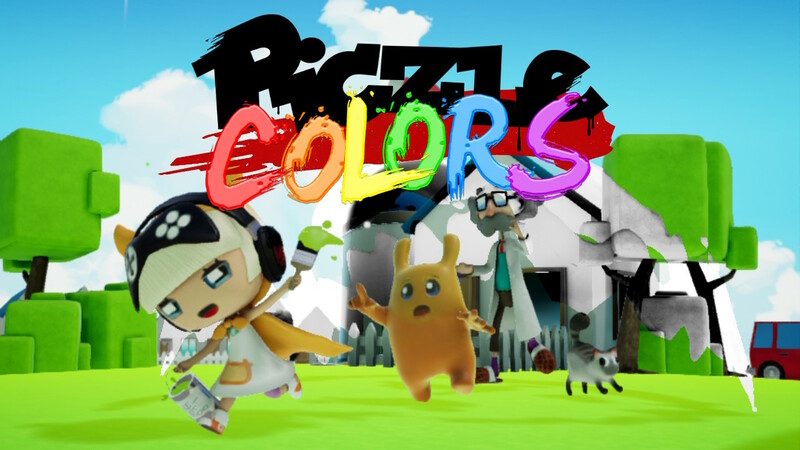 Piczle Colors takes the Piczle series characters, Professor Matrix, Score-Chan and D-Bug into a 300 puzzle filled game that mixes the familiar Picross series and adds a splash of paint on it and having been given permission by the publisher, this my preview of the first 30 puzzles, which includes many of the easier 5×5 stages. While not challenging, it was neat painting, using the touch screen controls to complete each puzzle. The Piczle puzzle style lends itself nicely to the new color mechanic and Piczle Colors mixes things up a bit by giving you hints when the colors are next to one another by placing colors in a bubble. You complete puzzles by filling in the colors using clues on the rows and columns. There’s another game out already on the Switch, that is similar, called Pic-a-Pix Pieces but the main differentiating factor for me is the charm of the Piczle characters in Colors. The game has loads of extras, like 3D rendered Piczle characters and objects. The puzzles, so far, consisted of real world objects like cats, dogs, a mouse, jet plane, shovel, and a magnifying glass. The color pallet is pretty basic with greens, blues, reds, white and black. Overall the game style is more kid friendly and glossy giving you the impression of paint dropped on a canvas, as you complete the pixel art. The game also has a great variety of music and game audio which helps to make this puzzle game a bit more distinct from other Picross like games. I often found myself bumping along to the music as I played the game. In Piczle Colors you can play using on-screen controls, which tend to be cumbersome and slow things down. I was thankful for Piczle Colors use of touch controls to speed up the painting process. During my hour with the game so far, my daughters and I took turns choosing the paint can and painting the object in using the clues and each other’s help. The quickness in which you can switch between paints and select which square to paint in felt snappy. Piczle Colors hits the Nintendo Switch on January 31st, 2019; and with my short time so far, I can safely say this is a shaping up to be a game for lovers of Picross style puzzles. If you require more details though, our full review will go live next week and you’re more than welcome to check it out.